To become more independent he moved to Great Britain to teach at the Berlitz School, spent some time teaching for Berlitz in Constantinople, and returned to Germany to fight in WWI. Digital collections have been an amazing resource for this project, one of the newer useful ones being European Library and ZEFYS: Zeitungsinformationssystem of the Staatsbibliothek zu Berlin. Both are useful because the search results of the European Library provide for full-text searching and link to the paper with search results highlighted. ZEFYS, the actual home for these papers is harder to use, but allows for PDF download of the that page or the whole issue which the European Library does not. 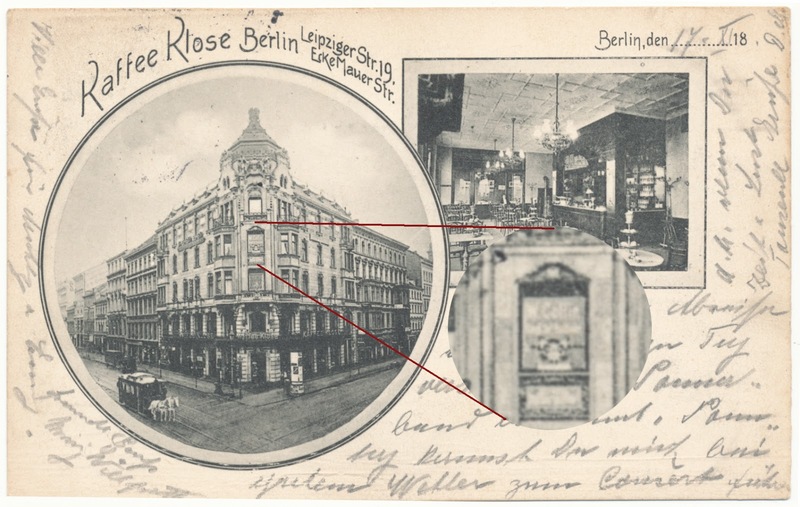 Among recent newspapers added were the Berliner Tageblatt and Berliner Börsenzeitung, two daily newspapers. Searching for Ernst Collin, Georg Collin, Wilhelm Collin, what appeared but this in the on page 48 of the 31.01.1909 edition of the Berliner Tageblatt. Here we have "the other" Ernst giving a keynote lecture on the differences between the old and new Esperanto in Berlin for a 12 hour workshop. 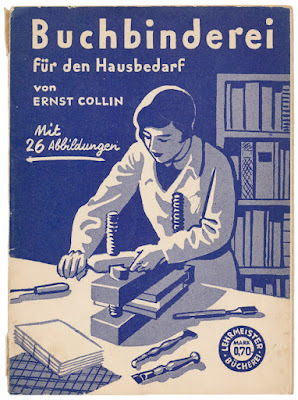 When I began translating Ernst Collin's Pressbengel (The Bone Folder) it was because I felt such an affinity for the text that wonderfully portrays the state of early 20th century binding in Germany and the tension between art, craft, and industrialization, all in the form of a charming dialog. There was actually very little information available to me about Collin, and what there was raised more questions than I could find answers for. As a result I focused on the dialog itself, a context for the work, and tried to provide some biographical information about Collin himself. Sources for this biographical information were Gustav Moessner's introduction to the 1984 illustrated reprint/new edition of the Der Pressbengel and Karl Wolfskehls Briefwechsel aus Neuseeland 1938-1948, the published correspondence of German emigre Karl Wolfskehl who corresponded with many of the creative elite who were able to flee Germany. 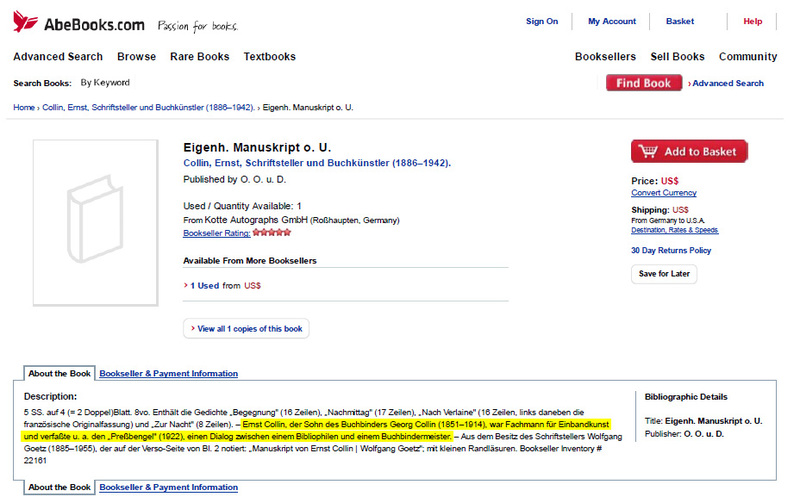 Below the excerpt from page 1215 for Ernst Collin with a birth year matching that in Moessner's introduction (5/31/1886), as well as the direct link to two of Collin's most significant publications. and was also active as a bookbinder and literary critic married M[argarethe] Pohl in 1924. 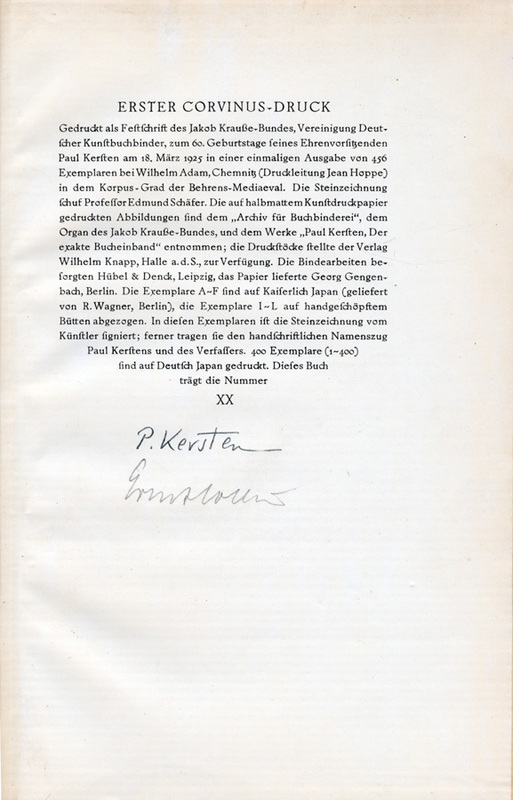 Einbandkunst, 1918, and "Paul Kersten, the leader of German fine binding," 1925, were written by him." The other challenging source was Kosch's Deutsches Literatur-Lexikon des 20Jh, (München: KG Saur 2003, Bd 5, p.325). 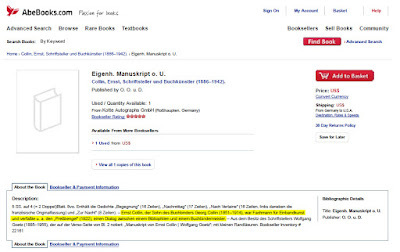 This cited the Leo Baeck Institute's collection that houses the papers of Ernst Collin-Schönfeld that make no mention of any of his editorial positions or writings beyond poetry in the biography or item-level finding aid. For purposes of my introduction this was the best I could find in 2008, and while I was curious to learn more and had lingering doubts, I did not dig deeper with any urgency. It turns out that Moessner was also a bit confused on some of the other details in his introduction, that like mine focused more on what Collin's work meant for the craft of bookbinding. While the Wolfskehl Correspondence raised many questions, the linkages were there in the form of the specific titles, no Pressbengel however. 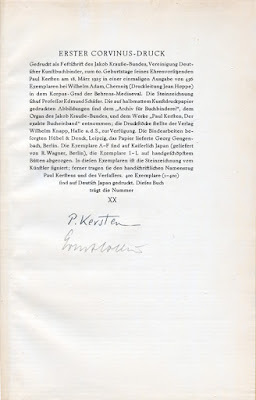 Kosch did mention the Pressbengel, but also Paul Kersten and other writings. In late February, I was contacted by a Ruth Wiseman on the East Coast who is researching her genealogy, and believed she was related to Georg Collin (Ernst's father and the Hofbuchbinder/Courtbookbinder to the German Emperor) and Ernst Collin. She found my translation online (a benefit of "open access"). This intrigued me deeply and on many levels, and we have been actively corresponding ever since, 100+ emails since 2/20 with lots of shared resources. Given some other changes in my life related to work this was a very welcome diversion. So now, listening to the music of Kurt Weill that helped define the artistic life of Berlin between the wars, we will tell the story of two Ernsts. The video in my previous post frames this era visually. A starting point was Wolfskehl's correspondence that provided several names including his wife, Margarethe whose first husband was the painter Albert Weisgerber. Weisgerber fell in WWI (ironically serving in the same unit as a certain Corporal), and his work as a painter was later labeled degenerate. 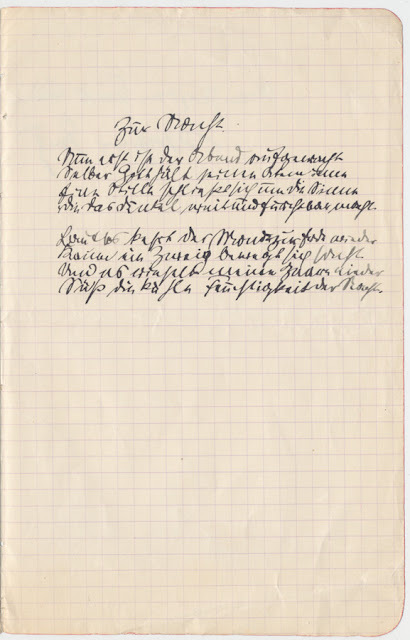 Since originally translating Collin's Pressbengel, the papers of an Ernst Collin[-Schönfeld] (According to inventory 1886?-1953, but birth year of 1882 in biographical sketch in collection and death year of 1954 on headstone) came online at the Center for Jewish History/Leo Baeck Institute in NYC showing an Ernst married to just this Margarethe Collin. According to a biography provided by Margarethe, this Ernst was born in Nordhausen; lost his father, a Fritz Schönfeld at a young age; and his mother remarried Adolf Collin, a businessman who adopted Ernst and his older brother Paul. No mention of a Georg Collin or bookbinding. There was also information on the page of a genealogist that even included a picture. Dates were wrong though, never mind the fact that none of the publications were familiar. If this was "our" Ernst, it showed him as having gotten out of Nazi Germany and having died in London. 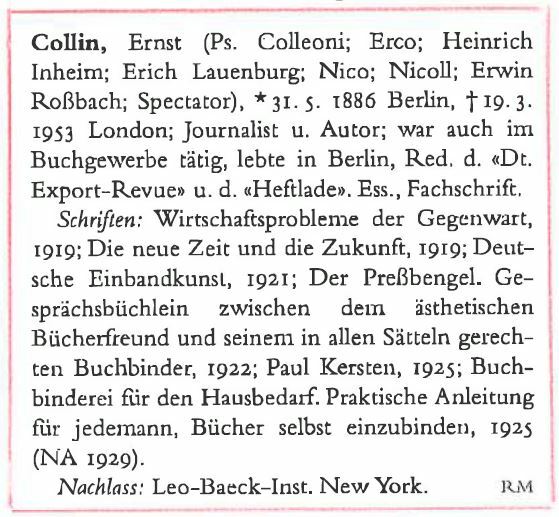 Naively, I had never thought of Collin as Jewish, "subversive," or degenerate, but the period in Germany between "The Wars" was very turbulent with civil war, hyper-inflation, depression... Moessner in his introduction had written that Collin was missing since 1933 (when the Nazis took power)... The book, Broken Glass, Broken Lives: A Jewish Girl's Survival Story in Berlin 1933-1945 written by Rita J. Kuhn, the mother of Ruth with whom I am corresponding, (and Georg Collin’s great-niece), provided a very good picture of the situation in Berlin during that period from the perspective of a child who survived it. Highly recommended reading on many levels, it also provided some good starting points for researching further. Anything could have happened to “our” Ernst. I had also recently read Anna Nyburg's, From Leipzig to London: The Life and Work of the Émigré Artist Hellmuth Weissenborn (New Castle, Delaware: Oak Knoll Press 2012. ISBN 9781584563143. 192 pages. $29.95), a book that was just reviewed for Bonefolder Extras. While focusing specifically on the illustrator Hellmuth Weissenborn it did a very good job describing the period leading up the takeover of the Nazis in Germany, the increasing spiral of anti-semitism, emigration, and life in the diaspora. After finding the obituary below for Ernst Collin in the April 1954 issue of the Association of Jewish Refugees Information I wrote to Professor Nyburg in London, this émigré community is her special area of interest and research, and I asked if she had any leads I could follow. That correspondence is still ongoing, but so far no leads. Another obituary written by Julius Bab, a German dramatist and theater critic, appeared in the Aufbau. 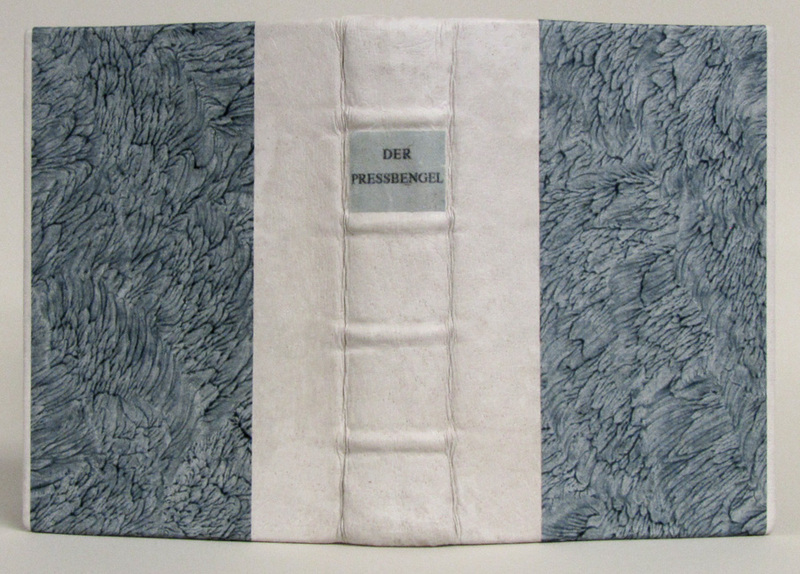 Why would there not have been any mentions in the obituary of the prolific writings on bookbinding by Collin? Concurrently, my partner in this research was reaching out via the genealogy networks to peers in the UK and elsewhere, netting the gravesite below. Despite mounting evidence to the contrary they still believe that this is "our" Ernst. 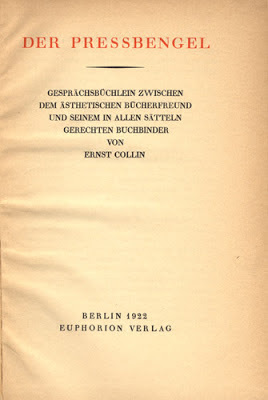 Muddling the situation further was the catalog of the Deutsche Nationalbibliothek that showed 2 Ernst Collins (records 46/47 and 50), the writer of so many articles and a few monographs on bookbinding (with a birth year of 1886 but no death date). and a Collin-Schönfeld (1882-1953) with few known publications (just one if Bab is correct). Two Ernsts married to the same woman? So, who's who? What's the truth? Digging through my own research library that contains among other things the complete set of the Meister der Einband Kunst's (MDE) Jahrbuch der Einbankunst, several of Collin's other writings, the 1927 Allgemeiner Anzeiger für Buchbinderein, HathiTrust, Worldcat, the Deutsche Nationalbibliothek, Google..., I began to develop a better picture of the extent of his publishing, the date range (well into the mid-1930s refuting Moessner's 1933 date), and became friends with our inter-library loan department requesting just about everything I could not find in my own library or online. I also wrote to the archives of the MDE in Münster, the Jewish Community of Berlin, and other bookbinders and bookbinding organizations in Germany, with but a very small number of helpful leads. In one case, the response was does it matter and why are you doing this...? 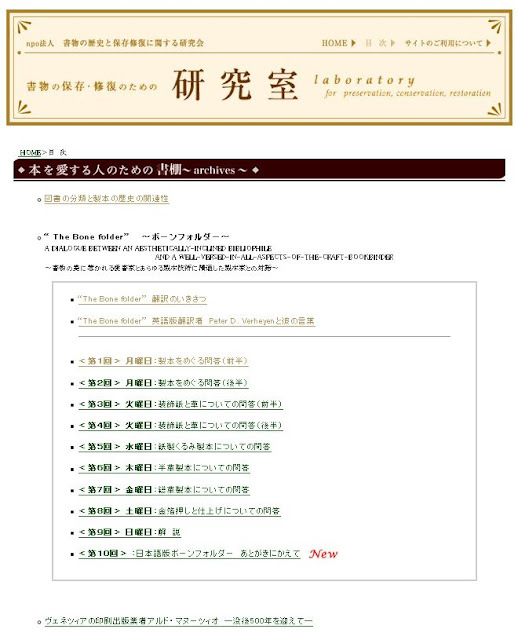 The inventory for the archives of MDE is online and showed little, with the archivist making an effort - travel there is not really an option, though at some time I may engage a proxy researcher. However, Die Heftlade No. 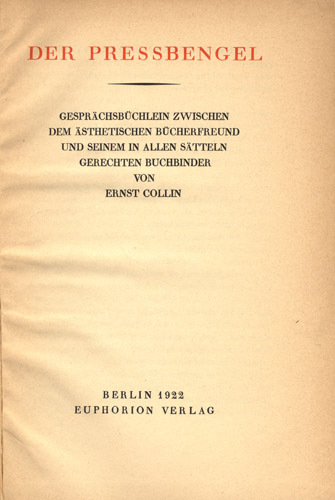 1, 1922 did provide an address for Ernst Collin in Berlin. 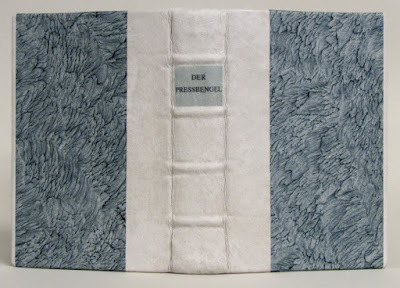 This was a journal produced by Collin for the Jakob-Krause-Bund, the precursor to MDE, and published by the same Euphorion Verlag as Der Pressbengel. An address! Wandering through the myriad of archives and other collections I discovered the address/telephone for Berlin online, searchable and browseable back to 1799. Below the entry for [Collin], Ernst from 1922 at Sachsenwaldstrasse 25 in Berlin-Steglitz, a mixed residential commercial district with little pre-war architecture left. A match! Note also the "Schriftsteller" following Ernst. This indicated profession/trade for many, and made it easier to distinguish between entries. "Our" Ernst lived here from 1922-23 as a Schriftsteller (writer), then 1924-28 as Redakteur (editor). Below the 1928 entry. Note that there is an Ernst described as a "bank beamt." above his listing. Directly above "Ernst Schriftstell" is an Ernst working at a bank.Our other Ernst? 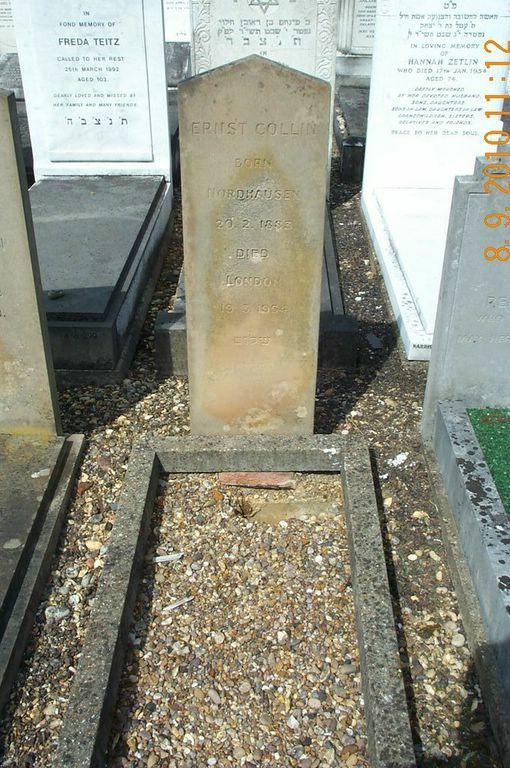 Meanwhile, Ruth had contacted the Jewish cemetery in Berlin and located the grave of Georg Collin (10/22/1851 – 12/24/1918) whom we both believe to be the father of "our" Ernst. 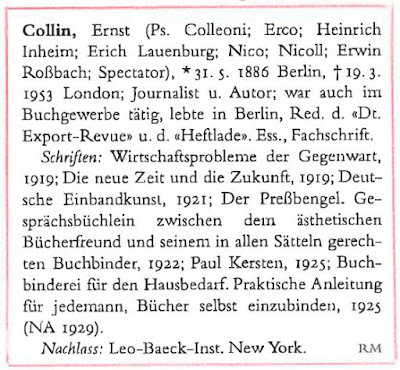 That W. Collin was the father of Georg is established, but there was still no direct linkage between them and Ernst. Thanks to inter-library loan, I was able to read a number of articles written by Ernst and found the missing link in the 1925 article "Die deutsche Kunstbuchbinderei der Gegenwart," published in the Gutenberg Jahrbuch. A birth certificate for Ernst would still be desirable though. Whether Ernst was also trained as a bookbinder is uncertain at this time, but what is known is that he was an antiquarian bookseller and publisher, doing business as the Corvinus-Antiquariat Ernst Collin Gmbh (Inc) at Mommsenstrasse 27 in Berlin Charlottenburg, a rather nice district. The listing below is from 1925, the same year as the article above. 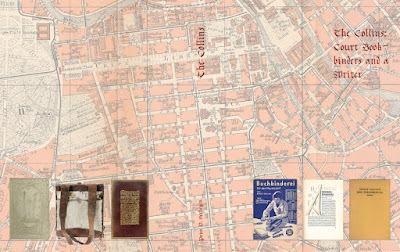 In 1929, Collin moved to Cicerostrasse 61 in Berlin Wilmersdorf where he lived into 1939, first from 1929-32 as Redakteur, then again from 1933-39 as Schriftsteller. Listing below from 1929. Directly above "Ernst Schriftstell" the other Ernst still working at a bank. Wilmersdorf was a fashionable area, and Cicerostrasse a beautiful apartment block designed and built by the architect Erich Mendelsohn between 1927-31. Mendelsohn was on the cutting edge of architecture at the time, also designing the Einstein Tower, an observatory in Potsdam near Berlin. Ernst was doing quite well for himself. Note, however, the "demotion" from editor to write in 1933. This would have been a result of the Schriftleitergesetz of October 4, 1933 that removed non-Aryans (Jews) from editorial positions, one of the early steps to isolate and marginalize in the Nuremberg Laws. These also forbade contacts between the groups and made it increasingly difficult for the two groups to interact on any levels and for either Ernst to work. MDE decided to disband in 1937 because according to the MDE archive site it did not want to bow to the laws, laws that would have had an impact on some members and friends of the group such as Martin Breslauer, the famous bibliophile and antiquarian. The last listing for Ernst from 1939. Putting together these different pieces I took the step of going to Yad Vashem, to the Central Database of Shoah Victims' Names where I found an Ernst Collin. His name is linked to both the List of murdered Jews from Germany (known as the Memorial Book/Gedenkbuch) and List of deportations from Berlin with links to the sources of that information. Below are the search results for Collin, Ernst. The birth date matches that provided by Moessner in his introduction, the one biographical fact he had right. While there are still loose ends to wrap up, we both believe we have sorted out the Ernsts, and given both back their own identities. Questions as to Ernst's professional activities, i.e. did he apprentice as a bookbinder or as an antiquarian, did he study...? What was his family/marital status. Some details may be still be uncovered, some lost in the mists of a turbulent time. 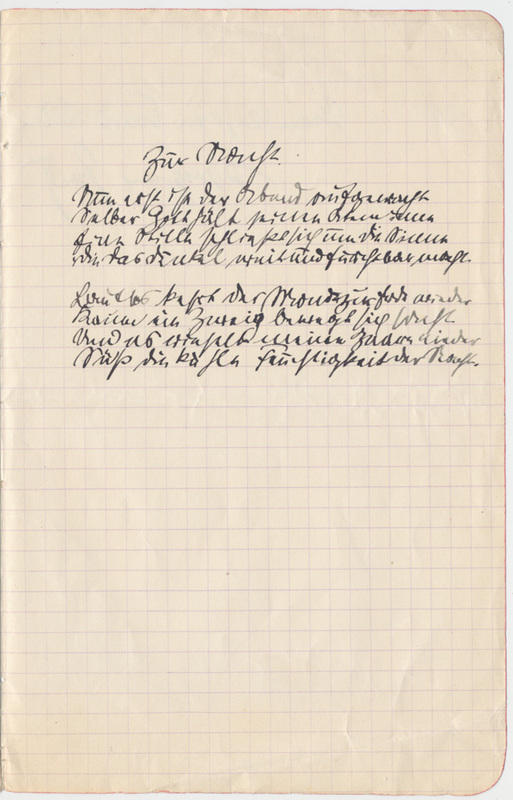 Subsequent posts here will describe the father and grandfather of Ernst, the Court Bookbinders W. Collin and Georg Collin, followed by an expanded bibliography of Ernst's writings. 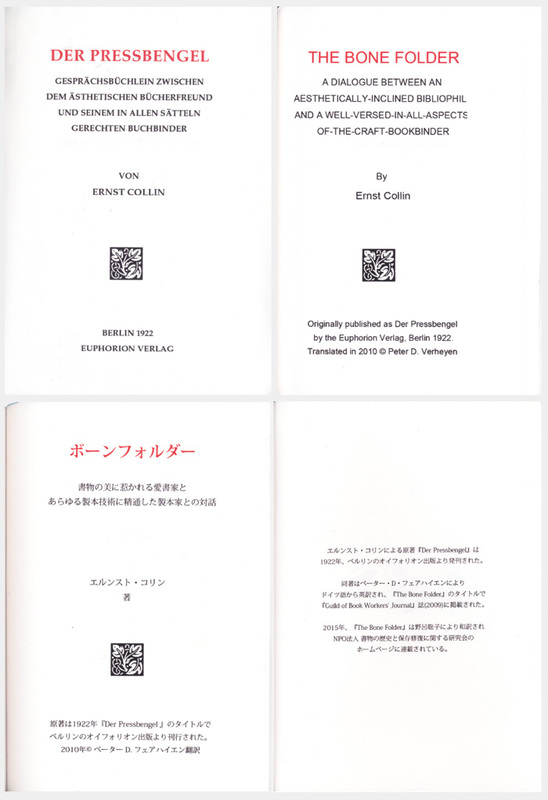 A new edition of my translation of Collin's Der Pressbengel (The Bone Folder) will also appear in time and incorporate some this new information.